This is going to be some endeavour. As some of you may or may not know, Stanley Kubrick is by far my favourite director. Enjoying his films since being a teenager, his movies have informed what I watch and how I watch; the effect his ‘impeccable craft’ (not my words, but those of Steven Spielberg’s) has had on not just me, but the world of cinema at large, is equal to any other filmmaking force you’d care to mention. His power over the artform is evident in his mastery of genre: Kubrick made some of the best films science fiction, war, and horror has ever seen – and that’s not even including his contribution to sword and sandals epics, dystopian visions, and the school of noir. But what ties each of these masterworks together, despite their apparent differences? Kubrick’s incredible voice. Those close-ups of peculiar expressions on faces; those tracking shots through corridors; a wide shot, parallel lines of sight enevloping some important central icon or character. These are things burnt into our film-going subconsciousness; whenever a modern director – let’s just use Christopher Nolan as an example – attempts something huge in scope and rich in analytical possibilities, I always think, ‘ah, he’s trying to do Kubrick’. This comparison is inescapable. After all, he helped bring into popularity the kind of high-tech special effects that we still use to sell cinematic worlds today. He pioneered the use of the steadicam. He brought real, uncompromised art to the masses. 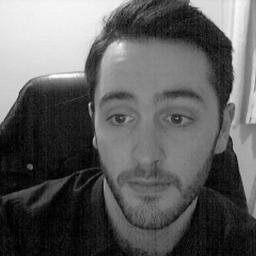 So here I am, about to embark on 2013: A Kubrick Odyssey. 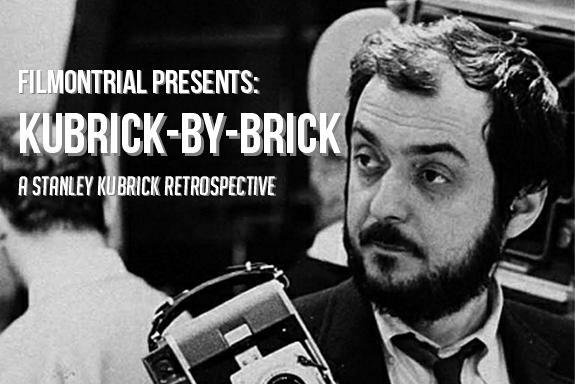 I aim to review each of his twelve films chronologically, including his early documentary shorts, re-evaluating them and their place in cinema – brick by brick. It’s a hefty task, but one I feel I owe to the great man. In film theory, the camera is sometimes thought of as the eye of God. Who better to take up that mantle than Stanley Kubrick? Coming before his first film Fear and Desire, Kubrick directed three short films; his boxing documentary, Day of the Flight, marked the public’s first experience of the man’s filmic sensibilities. But before becoming a director at all, the New York-based Kubrick worked as one of Look magazine’s in-house photographers, first becoming an apprentice photographer there in 1946 at the age of seventeen after growing up in the Bronx. 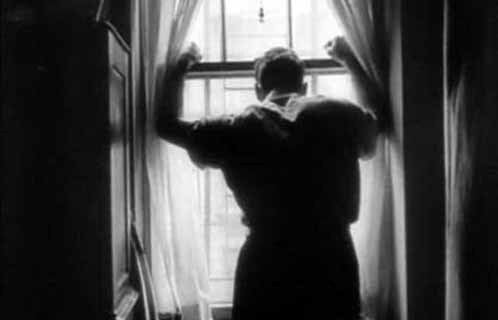 Based on one of his photo features from 1949, Day of the Fight follows a day in the life of a middleweight boxer in the Big Apple, a narrator jingoistically examining his routine; breakfast, mass and preparing for his fight later that night, it’s a brief documentary (clocking in at under thirteen minutes), and an entirely pragmatic work – but one that still bears the hallmarks of the already steady hand of an auteur. The boxer, Walter Cartier, is a reliably stoic presence – Kubrick’s predeliction for soft light and deep shadow is already apparent, Cartier’s chiseled looks a perfect canvas for the newbie director’s subtly stilted angles and stern focus. Before his first motion picture proper Fear and Desire, Kubrick wanted to explore (and assumedly, make some money while doing so) the documentary format; the result is a perfectly watchable, entirely inconsequential look at twenty-four hours in the life of a mildly interesting person. The subject would go on to inspire Kubrick for the partial basis of his second feature Killer’s Kiss, a semi-noir in which a boxer finds himself in trouble with the wrong people – but before those kind of studio budgets, Kubrick had to finance this short himself. 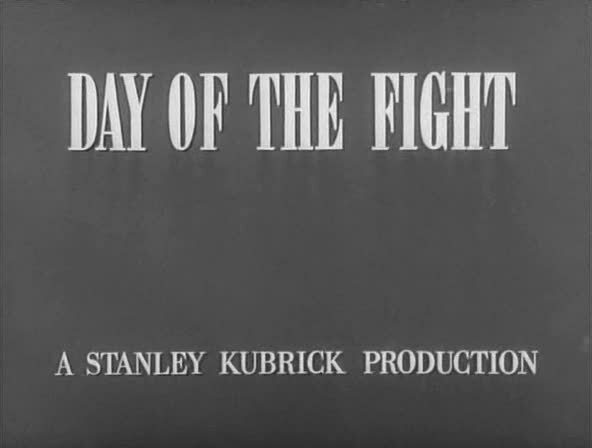 $3900 of Kubrick’s own savings went into the funding of Day of the Fight, with it eventually selling to RKO Pictures for – almost laughably – $4000. The picture’s humble ethos extends to its very production; it was made with people Kubrick grew up with, his childhood friends Gerald Fried as composer and Alex Singer as assistant director and cameraman (both who went on to industry success of their own). So, after experimenting with the moving image as opposed to the static ones that he captured for a living, Kubrick had his stubborn Bronxite foot firmly in the door of the movie business – but made a couple more shorts before deciding to take the next step in his journey to cinematic excellence. 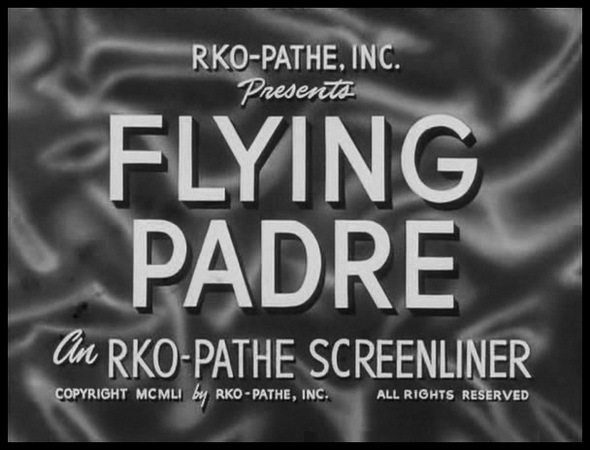 RKO Pictures were impressed with the quality of Day of the Fight; they advanced Kubrick $1500 to direct another short – this time only nine minutes – about a Catholic priest based in New Mexico, who used an airplane to shoot across his four-hundred square mile parish to help those in need. Father Fred Stadtmuller would use a Piper Cub to give him wings and attend his flock, his excursions including resolving a fight between two children, flying a sickly infant to hospital, and the odd sermon squished in between. It made for a perfect addition to RKO’s Pathe Screenliner series of informative and entertaining shorts – but if this were a fictional drama, the premise would be deemed ‘silly’. As documentary, it’s factual absurdity should make for compelling viewing – yet, somehow, the entire project falls in on itself, becoming something the director himself would profess in a 1969 interview as – yep, you guessed it – ‘silly’. The term ‘documentary’ should be used very lightly in Flying Padre‘s case. The same jubilant narrating style from Day of the Fight helps depict Stadtmuller’s airbone comings and goings in typical ’50s gung-ho, chin-up style, but there’s one thing wrong with the project: it’s a total and utter conceit. Every event feel constructed, false – and thanks to a handful of perfectly composed character shot-reverse-shots, this view is rightly justified. This line of insight may smack of overanalysis of what’s an exiguous, yet ultimately droll piece of filmmaking – but if RKO’s Pathe Screenliners deem to be documentary-like in nature, then surely some hint of observation – as opposed to stepping in and having the camera as the centre of attention – wouldn’t go amiss? Nonetheless, pragmatically this is an austere piece of work; Flying Padre could be deemed as Kubrick’s first piece of narrative storytelling, and it operates on that level to a tee – facial close-ups are clearly becoming Kubrick’s strength here as in Day of the Fight, and even though it’s a fanciful excursion of mangled truth, at least in form it’s not hiding that very aspect. 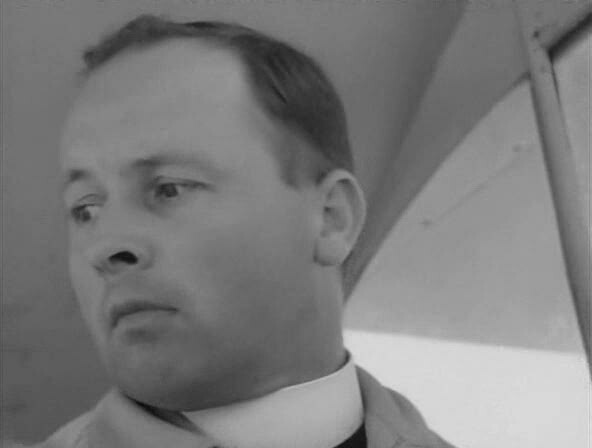 It’d be wrong to completely write this off on those terms; Flying Padre may be very ‘silly’, but it spearheads a potentially subversive stroke of humour that wouldn’t be seen again until Dr. Strangelove. Completing Kubrick’s trio of shorts, The Seafarers came to Kubrick as a means-to-and-end. An entirely conventional comissioning – and entirely boring by nature – Kubrick took on this half-hour industry feature, a promotional tool of the Seafarers International Union to harpoon new recruits, so that he could fund his next feature Killer’s Kiss. His first feature-length work, Fear and Desire, actually released in March of the same year, barely made any money at the box office – so with The Seafarers, we bear witness to Kubrick essentially selling his soul, his first lesson in the harsh nature of the industry that would take until 1960’s Spartacus for him to formulate the level of creative control he was famous for. To Kubrick’s credit, he does make the SIU look like a good place to work. Portraying a bustling nerve centre for dignified, well-paid and warmly treated sailors, The Seafarers would mark a number of firsts for Kubrick’s ouvre: not only is it his debut colour film, but it’s the first example of Kubrick’s signature dolly shot. A cafeteria scene houses a horizontally creeping camera, capturing the relaxing sailors in a clinical, observational style that’s a very early precedent of what could be called ‘Kubrickian’; this signature modus operandi of his directing style would become an instantly recognizable idiosyncrasy of his, being later developed in The Killing’s through-the-wall apartment shot and in Paths of Glory’s reverse-shot of Kirk Douglas walking the trenches. 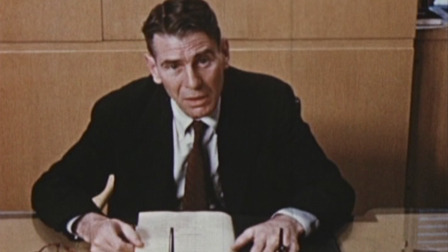 Another peculiar, but notably interesting, aspect of Kubrick’s recruitment video was the narrator Don Hellbeck, who was a CBS news reporter who eventually came under fire from McCarthyist accusations of communism. Despite those future scandalous accusations, Hellbeck’s slender, cigarette-waving tones help propel Kubrick’s otherwise prosaic film with a certain comfort-inducing American gusto. You never know who you’ll end up working with. 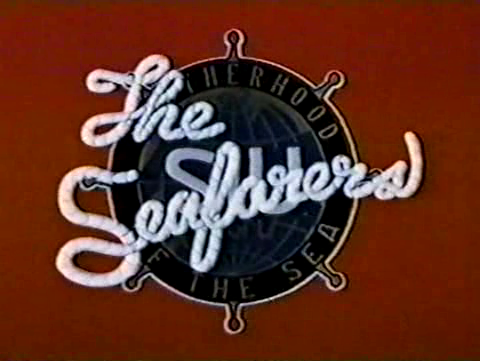 At the very least, The Seafarers shows that Kubrick could follow a brief. It was his first brush with commercialism, but a positive aspect was that the project was essentially a testing ground for his abilities. After these shorts and Fear and Desire, Kubrick knew what he wanted to do next: make great films.